Lillian’s life was not the ordinary for a woman in the last half of the twentieth century and into the twenty-first century. Her observations, inner feelings, outer actions, indiscretions, and hard-won wisdom make compelling reading. Lillian On Life is thought-provoking and best when read in short segments, with time between to think about what Lillian learned, and how she handled it in respect to what she wanted and what was expected of her. As a single woman making her way in the world from Missouri to Paris, London, and New York, she struggles with self-esteem issues, unresolved parental issues, and relationship issues. She learns early that “male pride” is like an electric fence—not to be touched. Each man she has a relationship with reinforces this belief. As spinsterhood sets in, she makes peace with her place in the life of the man she is seeing—whether he is married or single. Alison Jean Lester’s seemingly simple, understated writing style immerses the reader’s senses into the monotony of life, the glamour of life, the characters’ personal secrets, and the emotions or lack of emotions in relationships that may linger but never last. The tangled webs woven in Lillian’s life and how she either lives with them or moves on reveals much about humanity and the defense mechanisms used to survive and find peace with decisions made, whether good or bad. A memorable bit of wisdom offered in the book is: Speak for yourself. Don’t let anyone else speak for you, because they only see what you DO, not what you WANT TO DO. 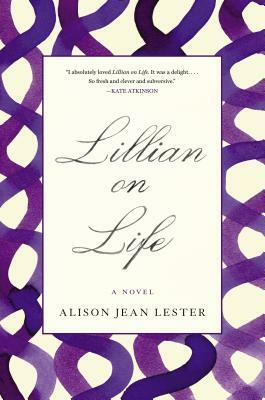 Lillian On Life is unusual story and gives the reader pause for thought on how his or her own life is playing out.